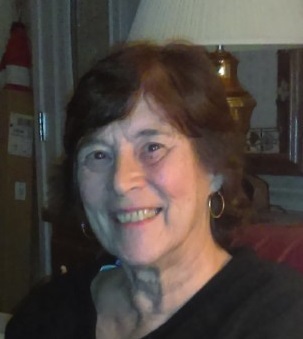 Andrea Kay (Pelczar) Turney, 67, of Tallmadge, Ohio, formerly of Worthington, died Tuesday, March 19, 2019 at the Cleveland Clinic. She was born January 8, 1952 in New Kensington, Pa to Andrew F. and Mary J. Pelczar. Andrea worked as a Loan Officer. She was a member of Craigsville United Methodist Church. She was the senior class president of Worthington High School, class of 1969. She loved being in the outdoors and hugging her grandchildren. She enjoyed gardening, going to the beach, bonfires, talking to family and friends, and relaxing on the deck on warm summer days. Andrea loved and was loved by an extensive family and all those she met. She will be dearly missed. Left behind to cherish her memory includes her husband of 40 years, Donald Turney; mother, Mary Pelczar; daughter, Anne Turney; son, Eric (Aashi) Turney; granddaughters, Hallie and Mia Turney; sisters, Kathy (Dan) Hawk, Cheryl Soloski, and Jeanne (Dan) Hurney; great aunt, Dorothy Karson; brother-in-law, Ronald Turney; sisters-in-law, Marian McCoy and Bette Lynn; and numerous nieces and nephews. She was preceded in death by her father, Andrew Pelczar; sister, Karen Pelczar; grandparents, Michael and Martha Karson, and Kazimierz and Rose Pelczar; and mother-in-law, Clara Turney. Friends will be received from 2-5 p.m. on Sunday, March 24, 2019 and from 2-4 p.m. and 7-9 p.m. on Monday, March 25, 2019 at the F. Duane Snyder Funeral Home, 119 Bear St., Worthington, Pa. Funeral Services will be held at 12 p.m. on Tuesday, March 26, 2019 at the funeral home with an additional hour of visitation prior to the service. The Rev. Douglas E. Dorula will officiate. Burial will follow in Lawn Haven Burial Estates.